At the end of this post I’m hoping that I will have convinced you to view a video of a song from the Gilbert and Sullivan, Comic Opera, ‘The Gondoliers’. Not generally my everyday listening, but please persevere. Recently I listened to Tony Quinlan from Narrate talk about how the patterns we have established in our brains have an important role in how we make decisions. The idea was that we have patterns that have been formed by our experiences, particularly those in our early years. Stories and tales we have heard will form a big part in shaping these patterns; which is why fables, fairy tales and parables are such an important part of our development. When it comes to decision making, most of us don’t logically scan all available information and make a decision based on the facts. We identify a pattern (based upon what we already know) and use that to justify whatever decision me make. Just to make this less logical and precise, we will select the quickest ‘reasonable fit’ pattern, rather than wait for the ‘best fit’ pattern. In addition, we are probably only scanning about 5% of the available information. Tony works a lot with Cognitive Edge and there is lots of material about the topic on Dave Snowden’s blog. Closing a Public Asset that was funded by Public Subscription. Tony talked about a situation where the closure of a public asset is about to take place; for example a local hospital that was built almost 100 years ago with subscriptions from miners wages. If the local people have grown up with stories about the struggle their grandparents faced to secure decent health care, any proposal to take that away is going to be difficult. The conclusions they make about ‘consultations’ will be made in the context of patterns which were developed from the narrative that came from the situation their grandparents experienced. No matter how many facts or how much logic is thrown into the debate, it doesn’t matter people probably aren’t listening any more, the patterns and responses have been fixed. I have experienced something similar. Tony did offer some suggestions about finding a narrative and ‘walking with people’ to an agreeable solution. Have a look at the Narrate site for some examples. Quite calm consideration, then carnage. The conference Tony was speaking at was about austerity and the challenges public services face over the next few years. There was no denying the scale of the problem. There was also lots of talk about capable and committed people working throughout public services ready to tackle the problems, collaborate, share knowledge and get stuck in. 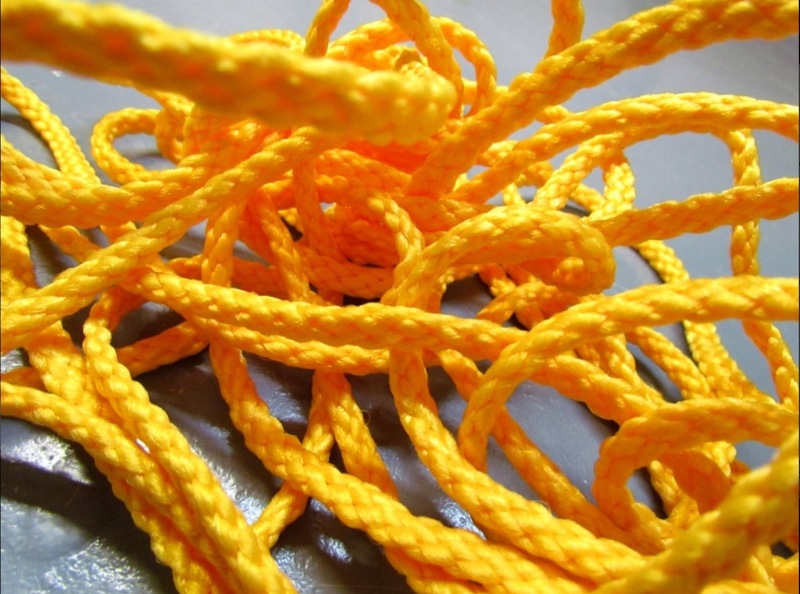 It think it was eloquently summed up in the quote “quite calm consideration will untangle every knot”. I was quite hopeful and inspired at this point. With 24 hours things were being spoken about at another conference, by different people, in a very different language. The gist was, ‘we are facing a nightmare scenario…… it’s going to be carnage’. This contrast in language certainly surfaced different patterns of response in me. I was lucky in that I experienced both, so can hopefully try and make a balanced decision (am I deluded and naive or can we sort this out?). When I reflect upon what Tony Quinlan had said about what patterns are surfaced, and how this influences the decisions we make it made me wonder. I do think that the language people choose to use is important. What about Gilbert and Sullivan? The ‘quiet calm consideration will untangle every knot’ quote is from the Gilbert and Sullivan Opera, ‘The Gondoliers‘. I never realised I could be a fan of comic opera, the Indie Rock and Bluegrass patterns in my head must have been preventing me. There are some video links to the ‘In a Contemplative Fashion’ song at the end of the post. They are worth a look and listen. In the Martin Milnes version the words are very clear and the one from the Derby Gilbert & Sullivan is a bit more theatrical, your choice. Many of us make decisions based upon only a part of the information that is available. This is influenced by the patterns in our brains which have been developed by the narratives we will have heard or experienced. What we choose to say to people can have a significant influence on the patterns that surface and how they make a decision. It can be a choice between, quiet calm consideration or carnage. Martin Milnes in THE FALSETTO SINGS GILBERT AND SULLIVAN at the International Gilbert and Sullivan Festival in Buxton. Derby Gilbert & Sullivan Co’s production of The Gondoliers at the 2009 Buxton Festival. Interestingly organisations only usually go for mental, and present new knowledge to try and convince people, completely ignorant of the other motivations. Now connecting the two narratives: the key is ‘moral’ as ontologically, it is an emergent pattern from the from the individual’s experience of the other 4. In some way a whole in itself that has characteristics not present in it’s parts and therefore acutely personal. In other words you have to do some of all four to do five: walk with them to encompass the story! Lovely post, G&S isn’t ‘phonics, lovely post! Walking people through the first 4 steps so that they do care, and it does matter to them is necessary, but quite often not done. I have seen a few situations where the organisational answer is focused on step 4, keep throwing facts and evidence at them, and surely they will understand. I did her someone recently voice a view that ‘people are just too uneducated to understand’. I doubt that. They did understand but it just didn’t matter to them, and they didn’t care. In that situation a bombardment of more and better evidence doesn’t change things. Thanks for the ANGEL link. ← How do you part with books?